This article comes from Anthony Fontana from the Quicken Loans Zing! blog. For some of us, the end of 2013 just signals the beginning of 2014. Not a whole lot changes aside from writing 2014 at the end of a date. However, the end of this year is different. Why, you ask? Because FHA loan limits are set to expire. Beginning in 2014, loan limits will readjust to Fannie Mae and Freddie Mac conforming limits. Throughout most of the country, Fannie Mae and Freddie Mac conforming loan limits are $417, 000, while expensive housing markets such as California and Hawaii increase to $625, 000. What does this mean for you? Mortgage applicants who no longer qualify under the revised limits will be forced to shop for a jumbo loan. In many cases, this could present a challenge due to tougher credit score and financial reserve requirements. Also, larger down payments are also a part of the process. In some cases, clients may have to settle for an adjustable-rate mortgage instead of a fixed-rate mortgage. In others, it may be necessary to get a higher-rate second mortgage to be able to afford the down payment. Edward DeMarco, acting director of the agency that oversees Fannie and Freddie in conservatorship, recently spoke at a meeting in Washington. He stated that there are serious considerations on reducing loan maximums to lessen the federal government involvement in the mortgage market. While DeMarco didn’t offer any specifics, industry analysts believe the maximum Fannie-Freddie loan size could drop from the current $417, 000 to $400, 000 in most parts of the country, and from $625, 000 to $600, 000 in high-cost areas such as coastal California, metropolitan Washington, D.C., and New York City. These changes are in addition to the rules regarding qualified mortgages, also set to be in place in early 2014. I can already hear the commotion. What this really comes down to is having a sense of urgency. The sooner you act, the better for you. For those of you in high-cost areas, it’s imperative for you to take action before the changes take effect. If you wait, a jumbo mortgage could be your only financing option. How do you feel about all the changes taking place in the upcoming months? Do you have any questions? Let us know in the comments below! Larger down payments makes sense. People should have more “skin in the game”. First time home buyers should receive the biggest help, IMO. Once you’re a home owner, providing 20% for a down payment on your next home should be a prerequisite. I’ve learned to embrace change, a year ago an article like this would have depressed me because I felt like I was being forced to do something. Now that my finances are on the mend I am always looking for opportunities. This post has really got my juices going to take action, obliged that you shared the information, thank you. This article has really got me to take action, thanks for sharing. I am in a similar position and need to evaluate all the options before my options are taken away from me. I have been in a similar situation where I was offered a lower rate but was too lazy to act, when I did the rate was removed and I prevented myself from being better off by a few hundred dollars. Great call to action post, thanks for sharing. Looks like there are changes everywhere, in the UK lending is becoming more relaxed and the government are introducing new initiatives to help people get on the property ladder. Most people are also fearing a rate rise soon as unemployment in the UK falls faster than expected. Times are changing and the days of low interest rates are slowly coming to an end. Do these changes come into effect immediately at the start of the new year or is there a grace period? Thanks for reading! To clear up some of your questions, it is predicted that loan limits will adjust from $417,000 to $400,000 in most parts of the country, and from $625,000 to $600,000 in high-cost areas. To avoid confusion, I provided the link for anyone with questions in regards to qualified mortgages. In my opinion, I didn’t think it was the right article to elaborate on qualified mortgages and detract from the rest of the story but I did want to provide a link for anyone with questions to learn more. Also, these changes impact both purchasing and refinancing. For me, this article raised many more questions than it answered. “…loan limits will readjust to Fannie Mae and Freddie Mac conforming limits.” So what did they used to be? How much of a change is this? “These changes are in addition to the rules regarding qualified mortgages…” Wish this included a few highlights of these rules, instead of requiring us to open another article to get a feel for them. “… it’s imperative for you to take action…” Just if you’re thinking of purchasing? 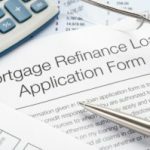 What about refinancing?